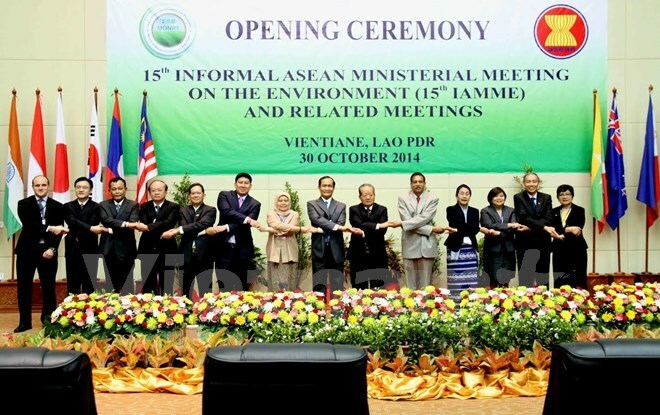 The 13th ASEAN Ministerial Meeting on Environment (AMME 13) is scheduled to take place in Hanoi from October 26 to 30, according to the Ministry of Natural Resources and Environment (MoNRE). At its monthly press conference on August 31, the ministry said the AMME 13 will host environment ministers from ASEAN member countries, Japan, the Republic of Korea and China, along with representatives of international organisations. The Vietnamese side will include senior Government officials, the MoNRE minister, the Minister of Agriculture and Rural Development, and the Chairman of the Hanoi People’s Committee. The MoNRE noted that the ministerial meeting, held every three years, will review regional cooperation in climate change prevention, water resource protection and biodiversity and marine environment preservation. The AMME 12 convened in Bangkok, Thailand in September 2012. Also at the press briefing, the MoNRE announced that the fourth national conference on the environment will be organised in Hanoi on September 29 and 30 to evaluate the outcomes of environmental protection efforts between 2011 and 2015.